Globalstar Europe Satellite Services Ltd., a wholly owned subsidiary of Globalstar Inc. and a leader in satellite messaging and emergency notification technologies, has announced that France’s Société Forestière has selected SPOT Gen3 to protect forest management workers — in an emergency, workers can press a single SOS button to request help and share their precise GPS location. By the close of 2017, 100 SPOT Gen3 devices will be deployed nationally, supporting forest based operations in six regions: Auxerre, Bordeaux, Bourges, Dijon, Le Mans and Reims. Additional SPOT Gen3’s may subsequently be rolled out. Société Forestière conducted trials of GSM-based alternatives, including iPhone apps, but these were deemed insufficient due to inadequate reach in the remote areas where forest-based operations take place, and also due to poor battery life. Other solutions proposed by France’s mobile network companies failed to function in locations where signal was weak. French legislation obliges commercial and non-commercial organisations to provide the best possible security to safeguard lone and remote workers. 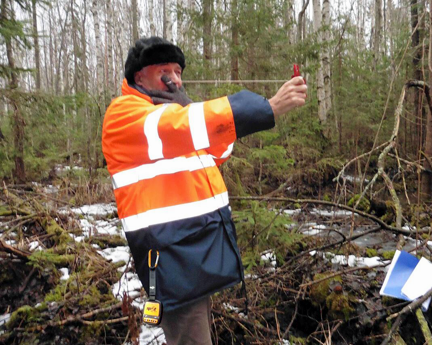 Société Forestière was able to see the hugely positive results from the UK Forestry Commission’s deployment of more than 700 SPOT Gen3 devices to improve the safety of staff working in areas with unreliable mobile phone and radio communications. In an emergency situation, Société Forestière workers can press SPOT’s SOS button to alert emergency services via the GEOS International Emergency Response Coordination Centre (IERCC). SPOT Gen3’s tracking feature allows first responders and colleagues to locate forestry staff even if they are unable to press the emergency button following an incident. SPOT Gen3 can be pre-configured to send location data to a central operations co-coordinator every 2.5, 5, 10, 30 or 60 minutes. Since the product's initial launch in 2007, Globalstar’s family of SPOT GPS satellite messengers have initiated more than 5,400 rescues worldwide. 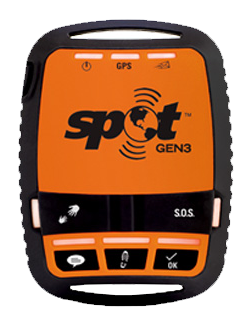 SPOT Gen3 was launched in EMEA in November 2013. An accompanying SPOT App allows users to view their SPOT messages, show their track points and monitor their assets via their iOS and Android smartphone or tablet. Alain Guillon, Information Systems and IT Security Officer at Société Forestière, remarked that the agency needed a solution that was independent of GSM mobile networks and other terrestrial alternatives,. After testing SPOT, the confidence was present to recommend the SPOT system to the Health and Safety Committee as the best way to protect workers, and to uphold staff welfare obligations. Gary King, Globalstar EMEA Sales Manager for SPOT, commented that Société Forestière oversees a wide range of forest-based activity, with the agency's prime goals to ensure better forest management and to protect the forest-based investments of their clients. SPOT is now playing a vital role in safeguarding lone workers as they carry out their important duties to manage and preserve France’s forests and forest-based businesses.